Dance Promo: The Knot. Autumn Tour 2018. – East Midlands Theatre. Dance Promo: The Knot. Autumn Tour 2018. After world premiere performances of Didy Veldman’s The Knot in Ipswich and Guildford in February, and Meghan marrying Harry in May, wedding fever continues this autumn with an 11-venue tour of Veldman’s dance theatre take on matrimony. 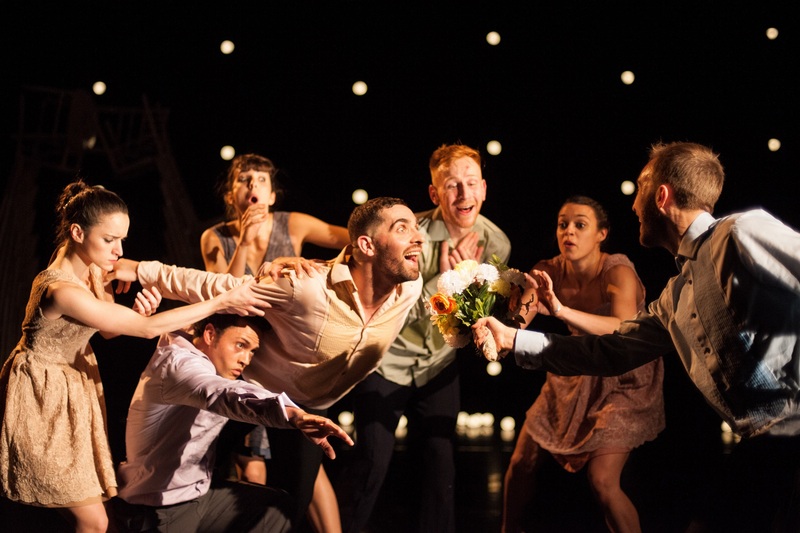 In The Knot, by Dutch-born choreographer and director Veldman, a cast of seven exceptional dancers play the roles of the bride, groom, best man and bridesmaids, and audience members become the wedding guests as the evening and celebrations unfold. 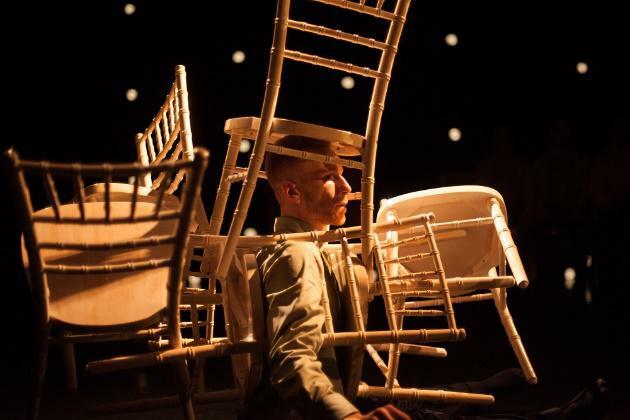 The Knot explores familiar scenes of marriage as theatre spaces become wedding venues in Nottingham, Cambridge, Birmingham, Portsmouth, Bracknell, Worthing, London, Jersey, Plymouth, Bournemouth and Malvern between Tuesday 6 November and Saturday 1 December 2018. Guests arrive and excitement builds as scenes of love and togetherness overcome anticipation and nerves amongst the wedding party. Veldman is a former dancer with Rambert, one of the UK’s leading dance companies, and left the company in 2000 to pursue a choreographic career. In 18 years she has become a highly sought-after choreographer both nationally and internationally and has created works for Les Grands Ballets Canadiens de Montréal, Cedarlake (New York), Cullberg Ballet (Sweden), Introdans (Netherlands), Gothenburg Ballet, Iceland Dance Company and Royal New Zealand Ballet. In the UK, Veldman has been commissioned by Rambert, Northern Ballet and Scottish Dance Theatre and in 2019 she will create a new work, collaborating with composer Gabriel Prokofiev, the grandson of Sergei Prokofiev, for Birmingham Royal Ballet’s inaugural ‘Ballet Now’ programme. For Umanoove, Veldman tailors each company of dancers to suit each work. The international cast of performers interpret the themes of Veldman’s work through her extremely physical and theatrical movement style. Stravinsky’s masterpiece Les Noces (The Wedding) is intertwined with specially commissioned music by London and Paris-based British composer Ben Foskett. His work has included commissions for CBSO Youth Orchestra and London Children’s Ballet. The Knot is commissioned by DanceEast, with support from Studio Wayne McGregor through the FreeSpace programme and funds from Arts Council England, Linbury Trust, The Master Charitable Trust – The Marina Kleinwort Trust, Beth Krasna and an anonymous donor. Following the 6 November to 1 December tour dates, The Knot will head to Copenhagen, Denmark for performances on 5 and 6 December, further reinforcing Veldman’s international standing as a choreographer. Promo: Derby Theatre. The Eagle Awards nominations and event. Review: Titanic The Musical. Nottingham Theatre Royal.